Yusuke Harada is a Managing Partner at Arthur D. Little Tokyo. 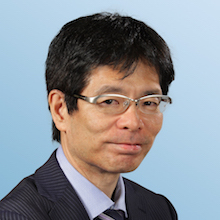 Yusuke focuses on strategic planning in the manufacturing and high-technology industries; this includes new-business creation, technology strategy, organizational change and intellectual property strategy. “growth strategy development” based on anticipating trends of social and industrial structural changes to create business models and ecosystems, addressing drivers (social/market) and enablers (technology). “management system building” based on understanding internal sources of differentiation to transform the company into a continuous innovation creator, addressing strategy/the hard side of the organization and implementation/the soft side of the organization.